I’m from Wales so moving away from home was a big challenge for me, but I have made the best friends and had an amazing university experience at Coventry studying Children and Young Person’s Nursing. 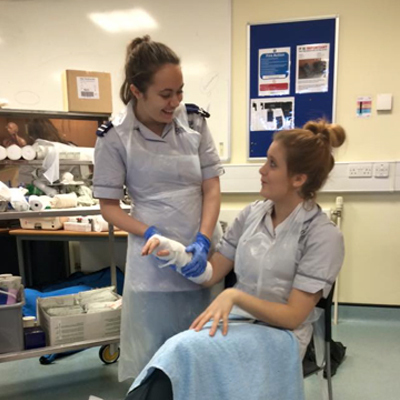 The variety of placements in particular, has enabled me to build my knowledge of the care pathway and practice essential skills prior to qualification. It’s not just me that thinks this, as the University is ranked 2nd for student satisfaction for student placements, which is really important, as we spend 50% of our time on placement! 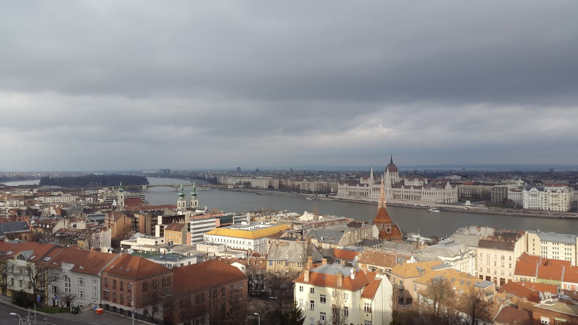 The picturesque views of Budapest, during our trip. The regular trips have enhanced my university experience. Budapest was specifically interesting, especially learning about the mental health children’s hospital. This experience of another culture allowed for a recognition of the differences in care approaches and of course a chance to explore Budapest! Recently, we visited the Houses of Parliament this gave us an insight into the process of decision making, which shapes change in the NHS and we got to quiz our local MP about relevant nursing issues, emphasising our voice in influencing change! 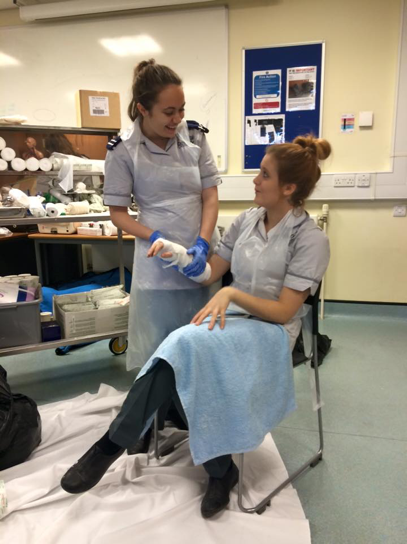 Myself (left) and Gemma Hart (right), another CYP student practicing our plaster casting technique, in our 2nd Year practical skills session. The course is very different to other university courses. What’s this about 4 months off for summer?! We do miss out, especially in the summer, but I know that it is 1000% worth it, to know that you are making a difference to a child and their family (even if all I can give is just a cup of tea, a smile and some re assurance). People say, “Oh children’s nursing I could never do that!” but I could never imagine having a different career and I cannot wait to be the best children’s nurse I can possibly be, using the knowledge and support from Coventry in the next step in my career at Great Ormond Street Children’s Hospital! Clearing, Global Travel, Guest Blogs, Join Us, Mature Students, Real stories, Undergrad, Why Cov Uni?